A new school event was coming up, and this time it was a fancy dress competition with a fairy/goblin theme. Gozu was all charged up to make a DIY costume for the event and a lot of youtube searches were made to finalize on one design. I was a bit skeptical at the beginning on whether it was worth the time and effort to make things at home vs buying a ready made costume. 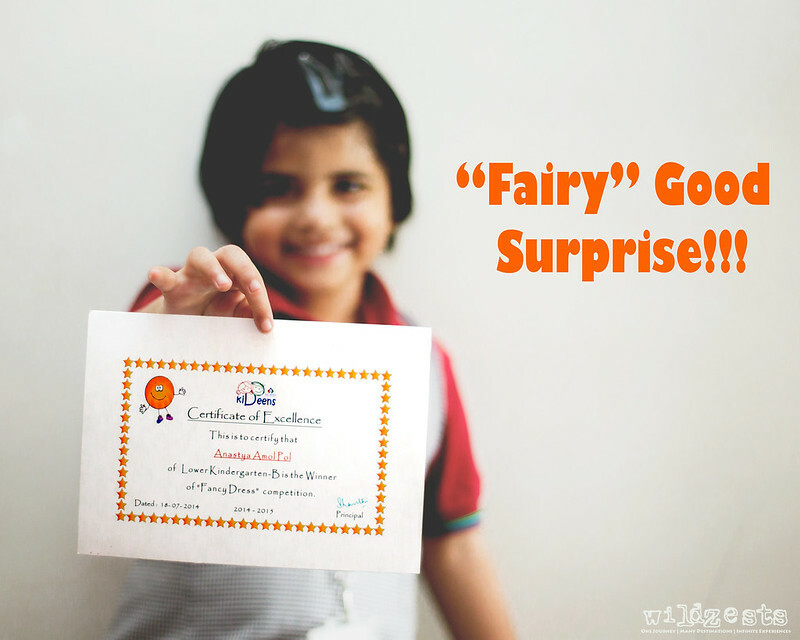 Now we didn't really know too much about fairies except Tinkerbell, but with a little help from Google we figured that there are different types of fairies etc. 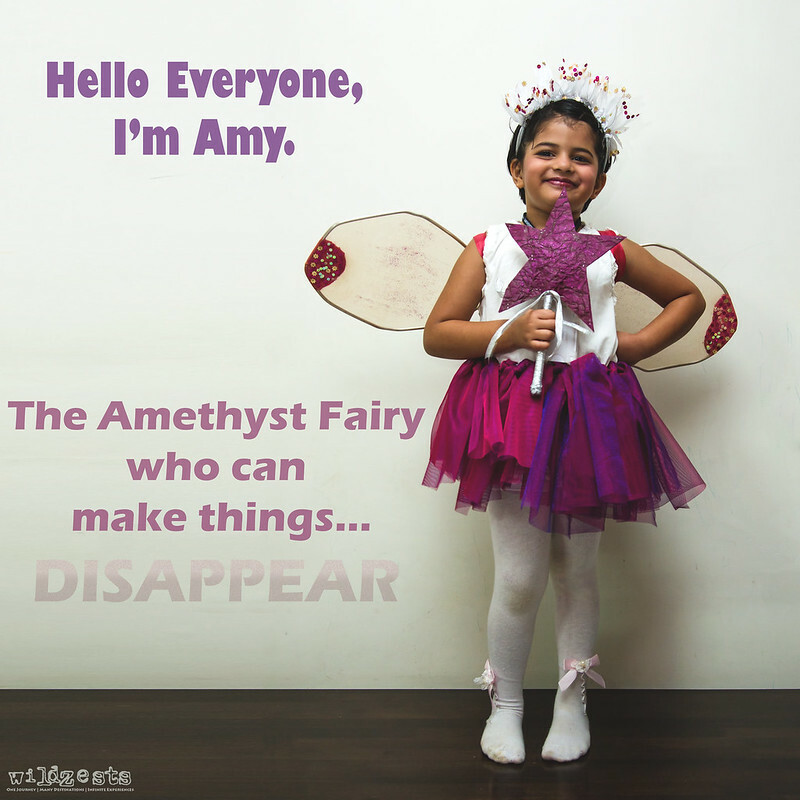 Amy, the Amethyst fairy was chosen since her name started with an "A". Apparently, she's a fairy who can make things disappear and that's not a new thing for Pozu. The prior weekend was spent in gathering all the raw materials required for the tutu skirt and the tiara etc. The only thing that was remaining was to get the wings made from the wire hangers that we use for clothes. Finally one day, Gozu got me and showed me the demo of how to bend the hangers to make those wings. It wasn't all that difficult at all and in 10 mins we had the wings sorted out. I hadn't seen the final dress until the day she wore it, and it really looked pretty I must say. Everything just fitted in really nicely to transform the naughty little Pozu into an adorable fairy. And best part is, she won the competition! It's amazing to see her grow so fast, sometimes I sit and tell her stories about how she was so tiny that I could fit her in my forearm and now she's half my height already. I've gotten so many pics of her when she was a baby, but that's coz she couldn't run away from the camera. Now, its not the same anymore, she won't pose for the camera that easily. It takes a lot of patience to get her to stand in front of the camera and a lot of times I don't end up getting even a single good shot. But there was this one day where I was testing a lens that came back from service and she knew I wasn't really doing a photoshoot. I casually got her to stand to see if the lens was tracking the focus points etc. It was only a few weeks later that I happened to see those pictures and found a gem. 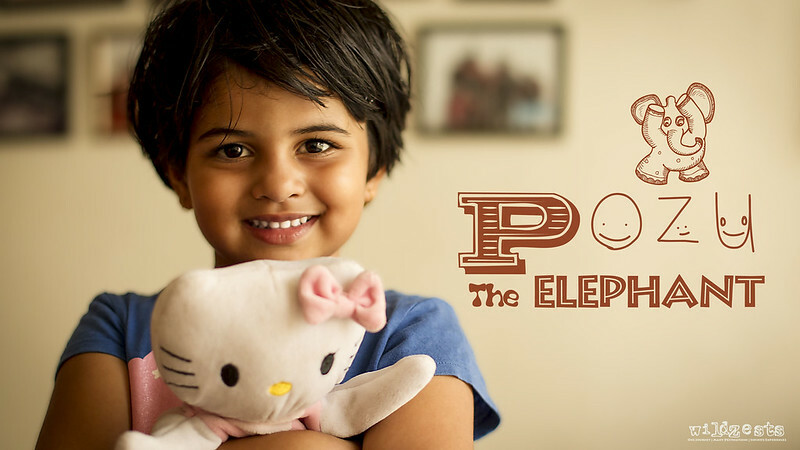 When I showed her the pic, she instantly said it was Pozu the Elephant (that's what she likes to call herself). This one's definitely one of my favorites from the recent times and will make it to the wall in my next batch of prints.